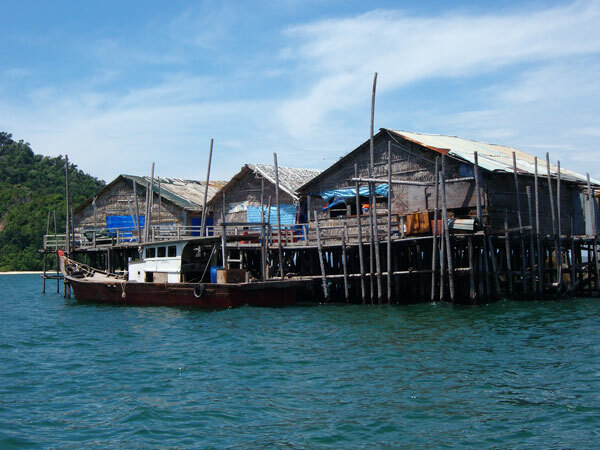 This is the most common fishing method used to target sailfish in Rompin. A live bait is either suspended under a balloon or it is free-lined if the fish are holding deep. Slow trolling live baits can also be very effective. Only circle hooks will be used for live baiting. Watching a lit-up Sailfish chase a teaser right to the back of the boat is visually stunning. Then pitching your bait to the fish and subsequently having it roar off with your bait in its mouth is simply exhilarating. 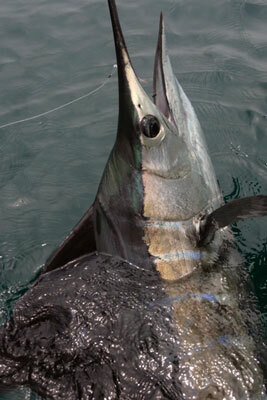 Sailfish on fly - arguably, the most exciting way to catch a Sailfish. We will troll to tease the fish up to within casting range. All teasing equipment is supplied and all stitch baits will be prepared for you. 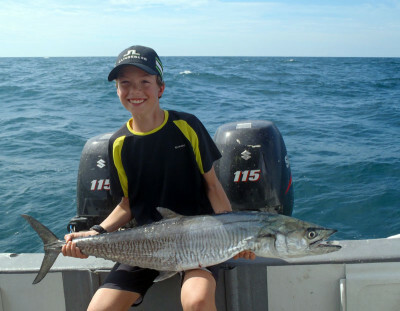 We guarantee you a full days trolling/teasing should you book a fly-fishing charter with us. Chucking plastic has gained popularity over the years and it’s simply the “run n gun” to within casting range that makes it so exciting. Not to mention the visual impact of seeing the fish smashing your lure. Having a speedster such as a Spanish Mackerel hit your jig is an experience to remember. Bottom bashing and jigging for squid for the best sashimi is also possible. Snorkelling at the nearby Tioman Island and surrounding marine park can be added to your itinerary. Overnight stays on Tioman Island or on a “Kelong” can be arranged. Charters are tailored to suit your needs. You are free to fish whichever technique favours you. Corporate functions for up to 20 people can also be arranged. For single anglers looking to share a boat, shared charters are available. Please contact us for planned dates. Contact us with your dates and the number of people in your group for a no-obligation quote and we will send you a free DVD. Copyright © 2019 Fishzone Sportfishing. Powered by WordPress. Theme: Spacious by ThemeGrill.